Logitech has been offering speakers and all manner of other computer gear for a long time. 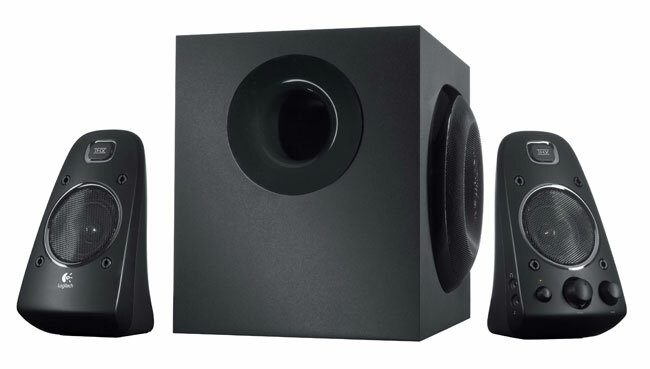 The company today has announced its latest 2.1 speaker system for computer users called the Logitech Speaker System Z623. The Z623 is THX Certified meaning that it has had more than 400 tests performed to cover frequency response, power and more. What it means to the user is that the speakers should sound great for gaming and watching movies. The speaker system will ship next month for $149.99. That price is surprisingly affordable considering the THX certification. The system has all the controls for volume and bass on the right satellite speaker. Inputs include 3.5mm jacks and RCA ports. The speakers also have a headphone port for private listening. The speakers can connect to several sources at once including your TV and PC.